(No. 218) The Mosque of Sarghatmish, built in 1356 by an amir of al-Nasir Muhammed. 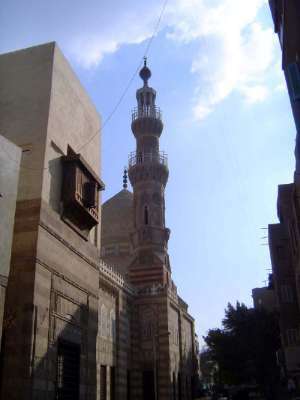 This is the mosque previously seen rising about the ziyada of the adjoining Mosque of Ibn Tulun.